Tire and wheel assemblies are heavy. This can make mounting and demounting difficult and dangerous for one person. Heavy lifting accounts for 20% of all workplace injuries. 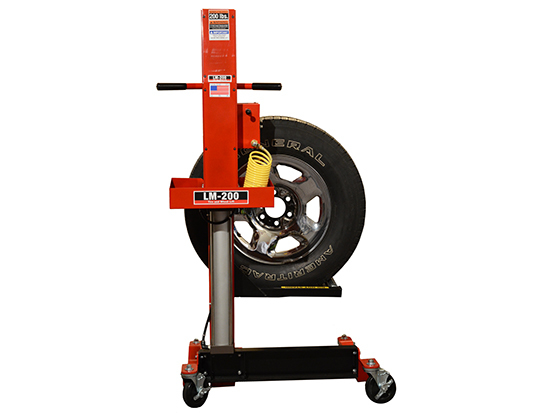 The QSP 24 volt rechargeable mobile tire lift assists technicians by making everyday tasks much easier. The 200 lb. capacity LM-200-R is a powerful tool that can reduce injuries and will be a workhorse in your shop. 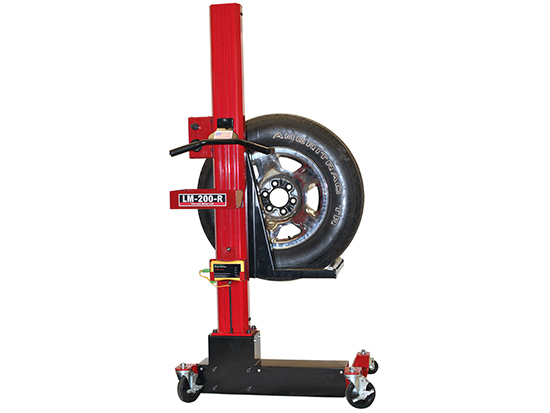 Designed with an off-center column for better access to lug nuts, balancers and changers. 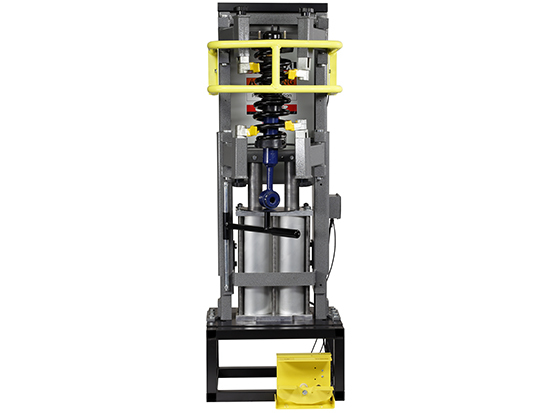 The LM-200 is made in the U.S.A.
Click here to view a spec sheet for the 716-LM-200-R.
Raises to full height in 13 seconds. Includes battery charge indicator and charger conditioner so you can’t over-charge.